I begin this review with a confession. I am obsessed with a TV program called Bride & Prejudice. Bride & Prejudice follows the engagement period of six couples whose parents are aggressively against their son or daughter’s relationship. The objections of each parent exist for a variety of reasons: total distrust of partners who have cheated in the past; a mother who is terrified by the prospect of her son loving a woman other than herself. The interactions are fascinating, and sometimes painful, to watch. But, of all the relationships depicted, the one which grips me most is that between a devout Christian man and his gay daughter. What is with my awkwardness, embarrassment, and pain? I am a Christian after all. I believe that God’s design of marriage for a man and woman is beautiful and good and to be honoured and preserved. Now, it is possible that my reaction comes from a lack of conviction, courage and faith. But I think the primary reason is because of the way that I know his words will be heard and perceived by the nation. I cringe because Jesus’ judgment is being announced loud and clear … but not his love, mercy, or goodness—nor the purpose, joy, and life that is found in his name. This Christian is offering no better vision; no explanation of Jesus’ grace. All we hear is an exhortation to say ‘no’ to happiness for the fear of hell and an angry God. I am very aware that this presentation of the Christian God may well have been the result of the editing process. Perhaps words of grace and good news were shared. But I couldn’t help but think: ‘My goodness, this guy needs help with how to share the gospel.’ But as only a small amount of reflection would remind me, so do I. I may not yell at people as they make choices which displease God and tell them they will go to hell. But much of the time I lack courage, boldness, conviction. The truth is, we all need help with evangelism. Some of us need help in helping others see, feel and understand the beauty, and the grace, and the love of Jesus. Some of us need help in being brave enough speaking difficult but important truths. We all need help to live-out and to speak about the grace and kingship of Jesus with courage and love. We all need help in showing people a better way. Often, I have looked for this help in Christian books on evangelism. And I have often finished those books no less confident in the power or the privilege of the task, but a whole lot more aware of things I should feel guilty about not doing. Not so with Joyfully Spreading the Word. 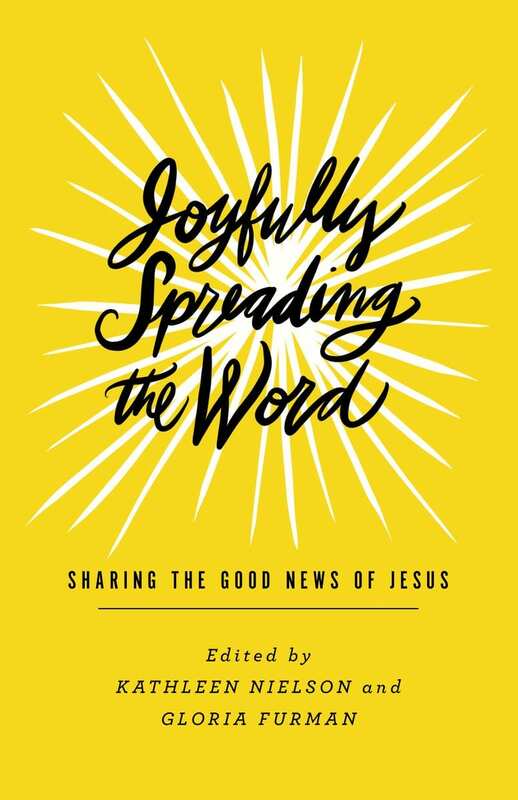 Joyfully Spreading the Word is a book for Christians who need to reminding of God’s power to bring life and freedom … sometimes in the most unlikely places. It is a book for Christians who need reminding that salvation is taking place: that God is at work; that his Word is transforming lives, and that we who share in Jesus’ life and mission get to be part of this incredible work. It is a book fused with stories and experiences which help us see the bigness of our God and his power to change hearts. Often, I have looked for this help in Christian books on evangelism. And I have often finished those books a whole lot more aware of things I should feel guilty about not doing. Not so with Joyfully Spreading the Word. Joyfully Spreading the Word is divided into two sections. Part 1 deals with ‘core concerns’ of evangelism—such as the content of the gospel, the requirements and resources of the everyday evangelist, the process of evangelism, and the importance of both word and deed in helping people experience the good news of Jesus. Part 2 (my favourite section) is made up of stories and examples of what it looks like to live-out and to share the gospel in different contexts, and in such a way that people can see and experience the love and goodness of Jesus. In these stories, we see what it looks like to joyfully spread the Word in our relationships with children, with university students, in our workplaces, and with the LGBTQ community. These stories give us a picture of how to share the good news of Jesus in such a way that rightly recognises, and interacts with, the worldviews of those around us. They show us what it looks like to meet people where they are at; to speak the gospel into their lives and not at them. In the process, these stories also help us to interrogate our own worldviews—to see where our functional values contradict our stated beliefs. These skills are crucial for evangelism in a time like ours, when concepts of truth are so experiential, nondescript, and self-determined. Unfortunately, they are also very difficult for many of us. I am thankful to the contributors of Joyfully Spreading the Word for showing me how it can work, and for giving me confidence to believe that it’s possible. The gospel promises that our neighbours who leave the LGBTQ community for Christ will receive a hundredfold blessing of the new family in Christ. From where will this hundredfold come? … It comes not only through the presence of Christ in us but also from individual Christian families and from the body of Christ as found in the local church. This means that were there is solitude, there is no chronic loneliness … This means that you are known and you know. This means that you live a life filled with godly intimacy. If the church is not ready to deliver on this hundredfold promise, to what are we calling our friends? I know what we are calling them from, but to what are we calling them? The call of evangelism? Not a call to guilt. Nor to greater effort. A call, ultimately, to know and to live out the good news of the gospel of Christ. A call to offer the world that which it truly longs for, and that which it craves. A call to greater confidence in our great God who is at work, who is transforming lives, and who—remarkably—does so as his people hold-out and live-out the Word of life. Stephanie Judd is a teacher, preacher, and trainer in the Melbourne Anglican Diocese. A graduate of Moore Theological College in Sydney, Stephanie Judd now works at City on a Hill as Associate Minister in the Lead Pastor’s Office, and Women’s Ministry Director. Good … News … About Jesus.